In 10-inch nonstick skillet, heat oil over high heat until hot. Add garlic and shrimp; cook and stir 2 to 3 minutes or until shrimp are pink and firm. Add all remaining ingredients; toss to mix. Cook 1 to 2 minutes or until sauce is of desired consistency. Save prep time by purchasing the shrimp from the fish counter already shelled and deveined. 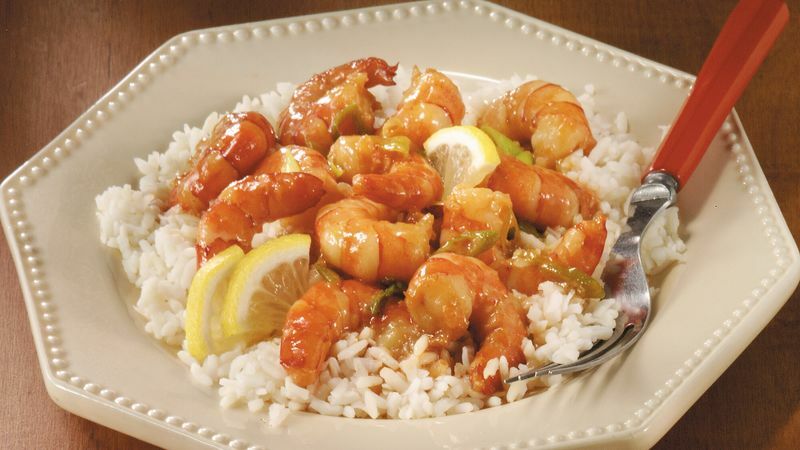 Frozen shrimp can also be used in this recipe. Before cooking, thaw the shrimp and rinse with cold water to eliminate the salt used in processing.